Human Circuit is an Engineering firm that designs and builds enterprise digital media acquisition and distribution and visualization systems for enterprise, government, entertainment, finance/banking, and healthcare/medical education clients. We operate with a complete understanding of our client’s system needs and goals, owning the complete project from system design, to build, to support. 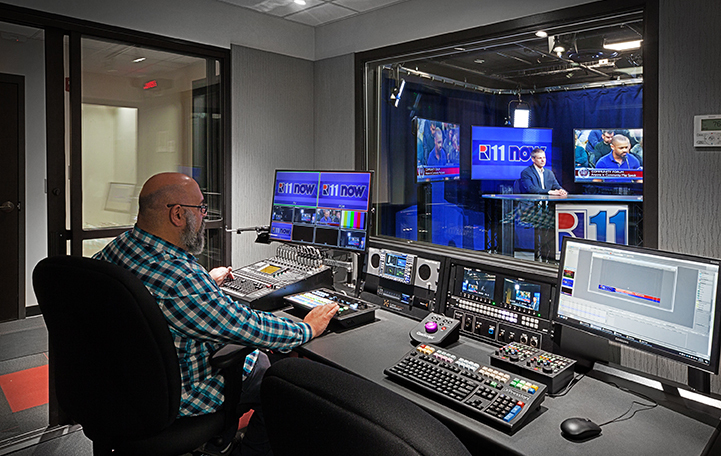 Our designs are applied to Network Operation Centers, teaching hospitals, simulation facilities, broadcasters, production facilities, and corporate communications. In our business, innovation requires engineering. However, engineering does not require innovation. Human Circuit leads with Engineering. When we say we lead with Engineering, we are saying we are subject matter experts. Our commitment to constant improvement helps us keep up with current technology and anticipate new technical directions. Our clients have a need for a trusted advisor who can help them make technical decisions and who has the capability and willingness to engineer, integrate and support the implementation of those technical decisions. We are our client’s trusted advisor and advocate.